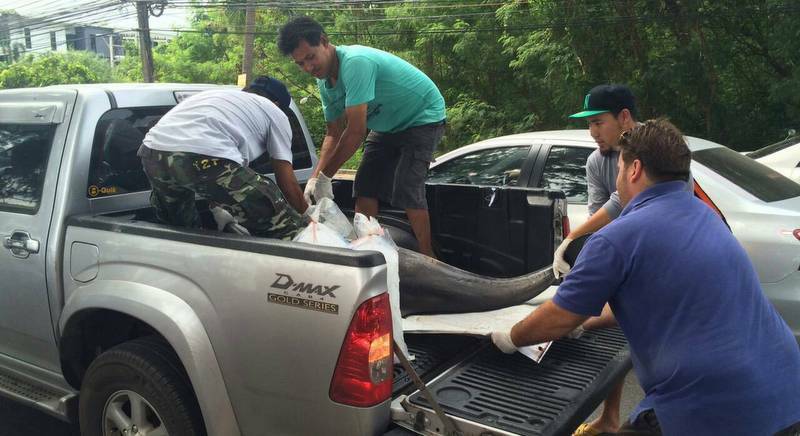 PHUKET: Local officials are waiting for experts to confirm what caused the death of a dolphin found off Bon Island, off Phuket’s southernmost beach at Rawai, earlier today (Nov 3). The captain and crew of the speedboat Nontasak Marine 2024 spotted the dolphin floating lifelessly in the sea near Koh Bon, several kilometres off Rawai Beach, and brought the dead creature’s remains ashore at about 10:30am. The dolphin was about 1.2m long and weighed about 100kg. 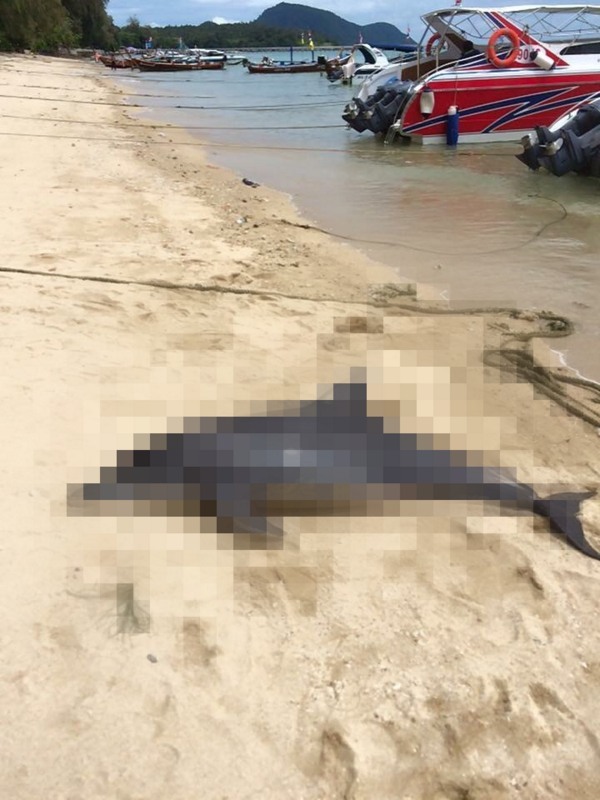 “We are waiting for officials from the Phuket Marine Biological Centre (PMBC) to tell us more, such as what type of dolphin was it, was it male or female, and what was the cause of death,” Rawai Mayor Aroon Solos told The Phuket News. “We saw some injuries on and around its head, which may have been caused by a rope or fishing net, but will wait for officials to confirm that,” he added.